In the past, digital marketing was governed by people who made decisions based on their gut feeling. Depending on their ability to empathize with the customer and see the bigger picture at the same time, this kind of decision-making process was more or less successful. Nowadays, with proper data analytics, even some of the most inexperienced marketers, managers and business owners can skip the necessity to make an educated guess and ensure their decision-making process is completely data-driven. So, here are several ways in which this improves your overall ability to compose a sound marketing strategy. The first thing you have to understand is that the content marketing might just be the single most important thing in your overall strategy, seeing as how directly it affects both traffic and customer loyalty. Still, when it comes to the appeal of a certain content type, you aren’t exactly a 100 percent reliable judge, due to the fact that you’re only one person with your own preferences and biases. Furthermore, you’re an insider, a content creator of the brand, which means that you won’t have the same perspective on the content in question. With data analytics, you can have a more accurate estimate of the efficiency of your content, as well as a better way to plan a long-term content strategy. Another thing you can achieve with the use of data analytics is the better understanding of the business model of your closest competitors. For instance, as a newcomer to the industry, you won’t be able to know how many leads count as an industry standard for your company size. Aside from this, without enough content of your own, you won’t be able to make all those estimates we have so thoroughly discussed in the previous section. Instead, you can see what your competitors are doing successfully and try to emulate it. You can even go with some basic diagnostics, for instance in a situation where your company underperforms in a certain area and you need to see what your competitors are doing better. In order to reach your audience, you need to find a proper channel to do so. However, just because your target market spends most of their time on YouTube or Pinterest, that doesn’t mean you automatically know what to do in order to engage them. For this, you need to be extra cunning. By turning to platforms that deal with social media analytics, you can get a detailed report of all your brand mentions on social networks. In this way, you can see if you’re heading in the right direction. If not, you get an indication of which field could use some improvement. The problem with marketing budget lies in the fact that you’re at risk of investing more money in a technique that yields a moderate ROI while neglecting (or almost neglecting) an area that would give you much greater gains. In order to avoid this from becoming a systemic problem, you have to utilize your data analytics to uncover which of these areas are worth investing in. This also relates to content marketing, especially if you work with freelancers that are on a performance pay. By helping you determine whether you should allocate more resources for content writers, web designers or video editors, you will also decide on the future course of your entire marketing strategy. It’s fairly easy to imagine what your ideal customer looks like, yet, there’s no reason why this mental image should be an accurate one. You never know which feature helps people make that leap of fate in order to become your customers, but with the help of data analytics, you have a great chance of finding out. Not only will you learn about their major traits (age, gender, purchasing power, education and marital status), but you will also get an insight into their hobbies and quirks. With the rise of biometrics in digital marketing, the amount of insight that you can acquire in this way becomes simply staggering. Therefore, you might finally be able to fully visualize your customers. 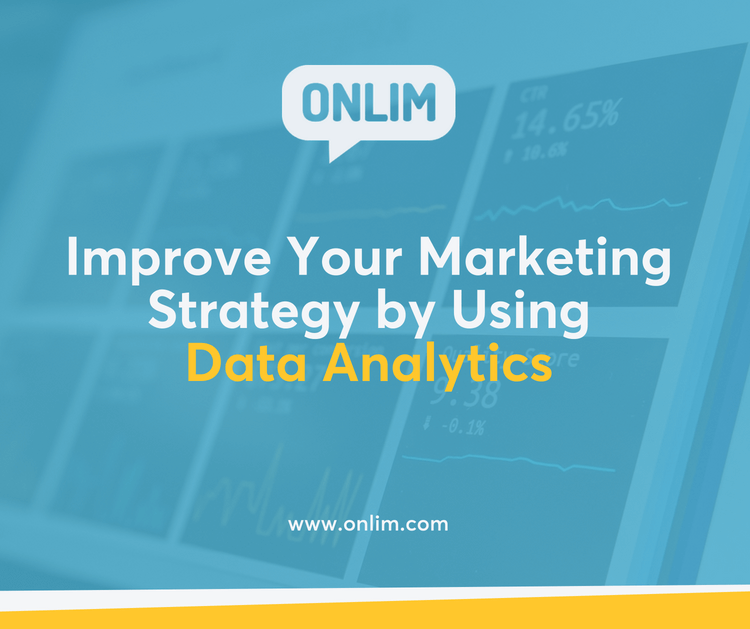 At the end of the day, improving your marketing strategy by using data analytics is not only an option but a necessity in the world of 2018. Since all of your competitors are either doing it or about to start doing it, you can’t afford to be the only one making less efficient moves and applying unproven methods. Fortunately, present-day analytical tools are easy to use, AI-powered and, with the help of the internet of things (IoT) and big data, they have more than enough material to work with.